The 38km route is the same as the 50km route for the first 36km. 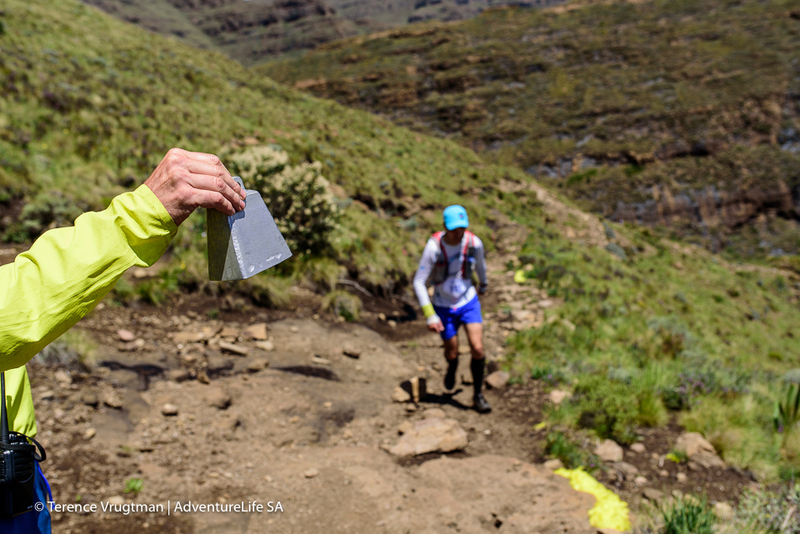 It's only at the main Aid Station that the route splits off from the 50km and heads back to the finish at Maliba Lodge. 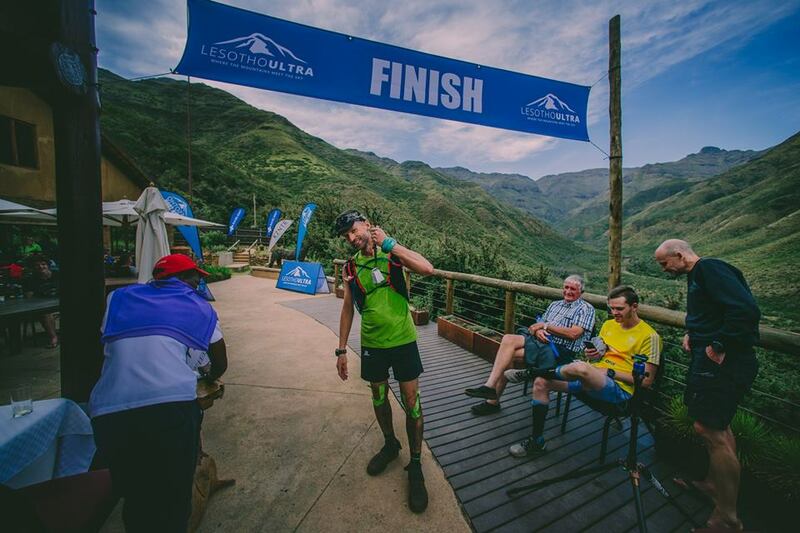 The course starts out with an 8km loop that brings runners back to the first checkpoint and Aid Station, which is just a few hundred meters from Maliba Lodge. It allows runners a proper warm up before any of the big climbs and spreads the field out nicely.The first really steep climbs are the switchbacks leading up to the second checkpoint and aid station. Affectionately known as Camp Davis, this aid station is manned by Jack and Michelle Davis from Trail Lab. Those doing to 50km will revisit this point, which lies at 2750m above sea level. 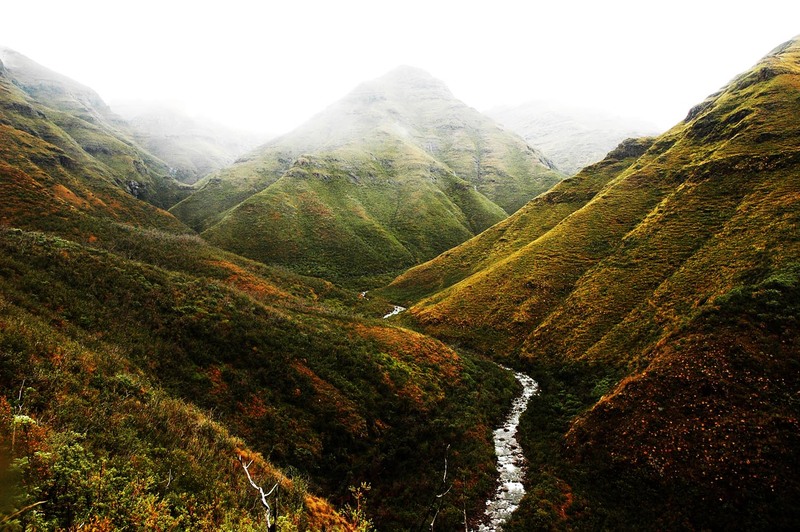 On leaving this aid station the trail contours before climbing right to the top of the Maluti Mountain Range. The 3rd checkpoint is at the 20km at the crest of the ridge.10km of running at 3000m plus then ensue. There is a checkpoint roughly halfway along the ridge at 24km and another at 29km where runners start to descend. The descent is long, steep and tricky but well rewarded with the main aid station at the bottom.Note the distance between Aid Station 1 and 2 is 20km. In wet years water along this section is plentiful, in dry years water is hard to come by. Make sure you carry plenty of nutrition through this section.On arriving at the main aid station 38km only have only 3km to go of relatively easy running with one final short and sharp climb right at the end up to the finish line. Total elevation gain is approximately 1700m. There is a cut-off at 9 am at Camp Davis (15km mark). All runners must be passed this point by the cut-off time, otherwise, they will not be allowed to continue. The race organising and medical team reserve the right to remove anyone from the course at any stage for medical and safety reasons.